Green Book Film Review: Story about dignity, courage and true friendship. David Shaw: [in David's loft] What's the five hundred grand for? Steven: One hundred thousand now, four hundred thousand after cash and carry. David Shaw: You're out of your mind. Steven: I appreciate your curiosity but my agenda doesn't concern you. David Shaw: What if I go to straight to Emily and tell her all this? Steven: That'd be my word against yours, Winston. A Perfect Murder is a lot better than I thought it would be, probably because of the smart direction from director Andrew Davis (The Fugitive, Chain Reaction, Under Siege). Given a fairly involved script and an action film, (never mind the dialogue, just cut quickly to the next scene) shooting scheme, Davis has concocted a mainstream thriller that works quite well. A Perfect Murder is based on a middle rated Hitchcock film which was in turn based on a hit Broadway play called Dial M For Murder. 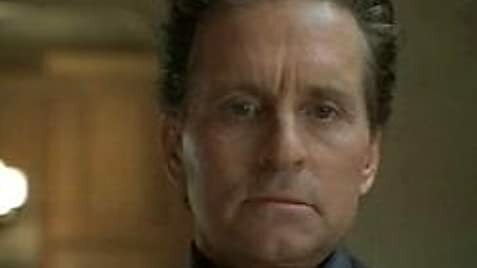 Steven Taylor (Michael Douglas, in part revisiting Wall Street's Gordon Gecko) is in financial strife and decides to knock Emily his wife off to grab her money. She's played by the hapless Gwyneth Paltrow. Hubby blackmails his wife's lover (Viggo Mortensen) to do the dirty deed. This film is ferociously mainstream. The music chimes in just so. The bathrobe disappears just so. Michael Douglas plays Michael Douglas to perfection, Paltrow is protected from any line more than fifteen words long, but still A Perfect Murder is never boring. The original Hitchcock version starred Ray Miland and Grace Kelly. There weren't any mobile phones and the wife wasn't screwing the killer. And then there was Grace Kelly rather than Gwyneth Paltrow in that old film. I know who I'd prefer.